If you’re interested in dying fabric with natural dyes then this article is for you. 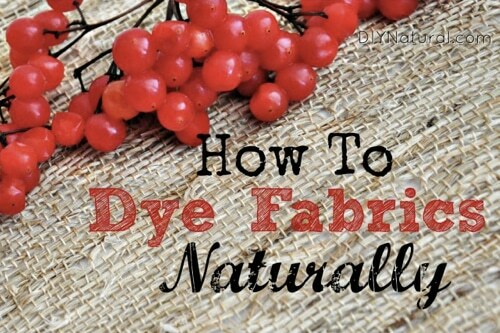 DIY Natural recommends the best fabrics to work with as well as a variety of natural sources to color your fabric beautifully. This is a great lesson for those who sew clothes and work with other arts and crafts projects.